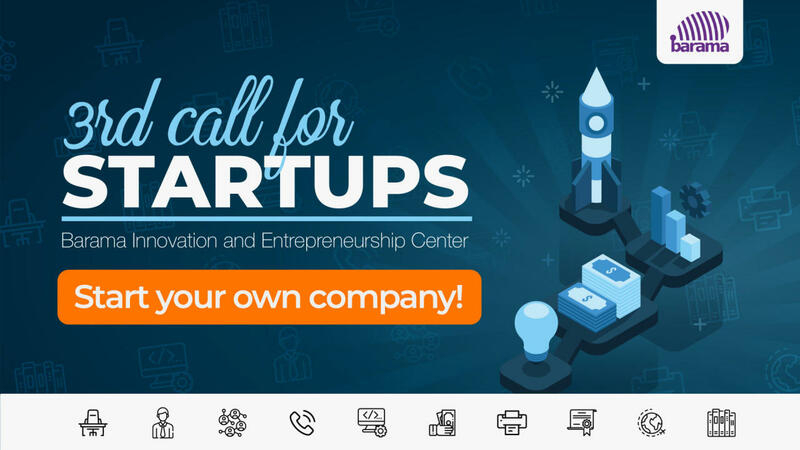 Barama Innovation and Entrepreneurship Center of “Azercell Telecom” LLC is pleased to announce the 3rd Incubation Program specially designed for those who wish to turn their innovative ideas into business. “Barama Incubation Program 2018” jointly carried out by “Barama” Center and “PASHA” Bank facilitates turning innovative ideas into startups while growing existing startups into successful businesses. Aimed at development of startups and digital ecosystem in the country, the project provides resident startups with free office support, professional consultation, training programs for the period of 6 months and gives them an opportunity to build strong relations with a professional business network. The leader of the mobile communication industry, the largest taxpayer and the biggest investor of the non-oil sector of Azerbaijan Azercell Telecom LLC was founded in 1996. With 48 percent share of Azerbaijan’s mobile telecom market Azercell’s network covers 80 percent of the territory (excluding 20 percent of the occupied territories) and 99.8 percent of population of the country. Currently, 4.5 million subscribers choose Azercell services.